I have never really trusted those who are intolerant and condemning of other people's shortcomings. It makes me suspect that they are likely hiding their own. This weekend was full of the story of redemption for me; as the nation said its goodbyes to Senator Edward Kennedy. I watched everything: from the moving Memorial Service on Friday night, to the amazing funeral mass on Saturday, to the private burial that same evening, to much of the news coverage and comment on Sunday. The stories from Friday are worth listening to again; especially the touching tributes from even Kennedy's Republican adversaries who grew to both respect and even love him, and the hilarious tales of sailing adventures. The Irish always say there should be lots of laughter at a good wake. But it was the funeral on Saturday morning that most moved me. I don't know what I was expecting -- likely more speeches -- but not a traditional Catholic funeral liturgy, complete with the Holy Eucharist. Of course, what else should I have expected from such a Boston Catholic family? And here was the divine irony. At the funeral of the nation's most liberal political leader of the last half century, a watching nation was treated to a full Catholic mass. And even more, the readings are what most struck me. When was the last time the whole country got to hear the 25th chapter of Matthew, with Jesus imploring us, "I was hungry...I was thirsty...I was a stranger...I was naked...I was sick...I was in prison....and you came to me." And then, the song of Mary...."he will put down the mighty from their thrones, exalt those of low degree, fill the hungry with good things, and send the rich empty away." Ted and Vicki Kennedy carefully chose those readings for this solemn and special occasion, and the whole nation listened to them. Then I watched the greatest collection of national political leaders in decades -- from both political parties, sixty Senators, countless Congresspersons, and four Presidents -- hug each other in the passing of the peace. Then they came forward to receive the body and blood of Christ, as cellist Yo Yo Ma accompanied Placido Domingo in Cesar Franck's Panis Angelicus. I started changing the channels then, just to see who was watching. CNN, MSNBC, FOX!, NBC, CBS, ABC, and FOX again!, were all tuned in to the Holy Eucharist. Who could have brought about such a thing- a man with serious personal flaws, who had experienced great pain in his life, had been the greatest political lightening rod of his time, and had, nonetheless, been the most successful Senator both in forging a list of accomplishments like no other, and in bringing people together from both sides of the political aisle. The Kennedy children's prayers followed, for Grandpa, Uncle Teddy, or just "Teddy"-- articulately summing up his life's work and mission, and calling us to the same vision and values. As a father, the most emotional moment for me, and for many others, was when Ted Kennedy Jr. recounted a story about his Dad helping him up a very icy hill with a sled, just after the twelve-year-old had had his leg amputated. "I know you can do it," he tearfully recounted his father's words, "I know you can do it. There is nothing that you can't do. We're going to climb that hill together, even if it takes us all day." I would ask each of you to read that very touching story, right now, even before reading the rest of this piece. Ted Kennedy's now grown son concluded, "He was not perfect, far from it. But my father believed in redemption and he never surrendered. Never stopped trying to right wrongs, be they the results of his own failings or of ours." Doris Kearns Goodwin quoted Hemmingway in saying "Everyone is broken by life. But afterward, many are strong in the broken places." And she said of Ted Kennedy, "he had absorbed his broken places." A letter was read, at the private burial service at the end of the day, back at Arlington, that the dying Ted Kennedy had asked President Obama to give to Pope Benedict when the President visited the Holy Father earlier this spring. The letter from Kennedy humbly asked the Pope to pray for him as his health was declining, and he was preparing for "the next passage of life." It read, "I know that I have been an imperfect human being but, with the help of my faith I have tried to right my path." President Obama's remarks at the funeral were almost pastoral in their tone, and one could feel the emotion he was feeling for himself and the whole country as he spoke of the loss that we had suffered and the qualities of the Senator, the father, the husband, the family rock, the colleague, and the friend that we would all now so sorely miss. He spoke both of the long list of public accomplishments that will likely gain Ted Kennedy recognition as the greatest Senator in American history; but also, again, of the human weaknesses of the man, and how his beloved wife Vicki had likely "saved him," something which everyone, including Ted Kennedy, seemed to agree with. Obama was almost nostalgic for an earlier time in Washington where adversaries still saw each other as patriots, and political enemies still respected and even liked each other as friends. Senator John Kerry would remark that although another Bostonian, House Speaker Tip O'Neill, had famously said that "All politics are local;" Ted Kennedy taught us that "All politics are personal." And story after story this weekend came from people whom Kennedy had touched in just that way--by doing so many countless things so very personally for them. And from this weekend, I received a final insight: that the roles of being a prophetic advocate who stands passionately for social justice; and the vocation of also being a bridge-builder and convener who brings diverse people together -- are not, perhaps, so mutually exclusive after all. Most people tell me they are; but feeling called to both, I have often struggled to reconcile them together. But here was Ted Kennedy, the fiercest fighter for the poor and vulnerable in the United States Senate over the last half century and, yet, when fellow Senators on both sides of the aisle were asked who they most wanted to work with, it was always him. Why? Because they liked him, he never let his sometimes profound disagreements keep him from caring personally about them, he was a man of his word; and he was lots of fun! As many remarked over the course of this amazing weekend, Ted Kennedy was the classic American success story who, though sorely tested by adversity and plagued by his own moral short-comings, found a way to overcome his personal flaws and pain to achieve extraordinary things. But Ted Kennedy was even more than that. His life was also the classic Christian story of redemption, of being saved from sin by faith, grace, and love; and by being faithful to the commands of Christ, "As you have done to the least of these, you have done to me." As the casket of Edward Moore Kennedy climbed up the hill toward his final resting place next to the eternal flame at the Arlington National Cemetery, one could almost hear those words of Jesus, "Come, O blessed of my Father, inherit the kingdom prepared for you form the foundation of the world, for I was hungry and you gave me food." Rest in peace, ye flawed, faithful, and redeemed warrior for the kingdom of God. 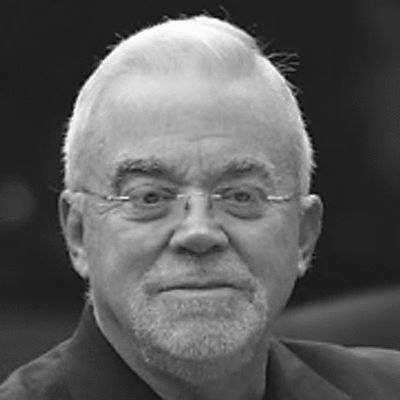 Jim Wallis is the author of The Great Awakening, Editor-in-Chief of Sojourners and blogs at www.godspolitics.com.